Bart Yasso is in my kitchen today, talking about the good food and great inspirations that have been so valuable to his running career. Bart is the race and event promotion director at Runner’s World. He is a member of the Running USA Hall of Champions. 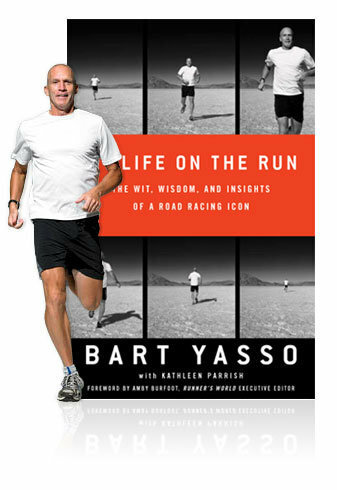 Bart invented the Yasso 800s, a marathon-training schedule used by thousands around the world. He is one of the few people to have completed races on all seven continents—from the Antarctica Marathon to the Mt. Kilimanjaro Marathon. In 1987, Yasso won the U.S. National Biathlon Long Course Championship, and he won the Smoky Mountain Marathon in 1998. He has completed the Ironman five times, and the Badwater 146 through Death Valley. He has also cycled, unsupported and by himself, across the country twice. For me it’s all about helping the environment. 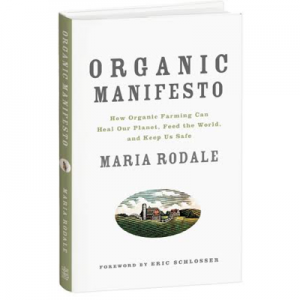 Chemicals from nonorganic practices go into the ground and affect our water system. We have to get away from the chemicals to truly make the world a better place. I get harped on all the time when people find out I’m a vegetarian, but really, I don’t eat meat or fish because of health and ethical reasons. Also, the fewer chemicals and artificial flavoring in my food, the better I feel. I buy as much organic food as possible, although sometimes it’s hard when I travel. I don’t want to eat any food that has chemicals or artificial anything; I make a conscious effort to avoid that as much as I can. I think stuff with no artificial flavoring and chemicals tastes better. I didn’t eat my veggies as kid; my favorite food was pizza. We ate crummy, greasy pizza a lot. If we didn’t have dinner plans or decided to go out for something, pizza always came to mind. Maybe because it’s so convenient—no matter where you are in the U.S., you’re never far from a pizza place. Now I’ll have a pesto or white pizza. Something with pesto and veggies; sun-dried tomatoes, artichokes, and some pineapple makes a good pizza to me now. When I make pizza at home, I make my own dough and use a lot of veggies, not like traditional pizza. Indian food and veggie curry is right up my alley. On my trips to India it’s very easy to find 100 percent vegetarian restaurants. If I had my choice, I’d sit back on the deck and kick back with an organic veggie stir-fry with green spicy curry. That would be my go-to every day of the week. Our juicer—I love mixing up a bunch of veggies or fruit. My wife and I use our juicer a lot; when we end up with a lot of produce, it’s fun to mix it all up into a juice you can sip over a long period of time, and it’s easy to do. Sometimes that replaces a meal. It’s easy to put stuff in the juicer—it comes out like a smoothie. Sometimes we add ice to it; often, I’ll add mango. Add mango to anything, it takes life to a whole new, good level. I’m mostly obsessed with Nelson Mandela, and South Africa and East Africa. Spending time in South Africa, you could sense his presence. Mandela just had his 92nd birthday. Obviously he’s near the end of his life, but I think he is the most famous person who had the largest effect globally in my lifetime. “If there are dreams about a beautiful South Africa, there are also roads that lead to their goal. Two of these roads could be named Goodness and Forgiveness.” This quote from him, about goodness and forgiveness, plays a role in our lives every day. If we’d keep it in mind, the world would be a better place. I’m obsessed with East Africa because of the runners. I’ve done multiple trips to East Africa, and both the runners and picture safaris fascinate me. It’s the best way for me to relax and take a vacation. Our house is full of artwork from East Africa. My favorite piece is the life-size Masai warrior wood carving in our living room. My wife got this idea to put our marathon finish medals around the warrior’s neck. It didn’t start out with many, but now there are about 400 medals around it. Masai warriors are great runners, so this carving became a focal point; it’s the one thing everyone comments on when they come in. The BP disaster, and its long-term negative effect on the environment and wildlife. I just don’t think people realize how long it’s going to take to clean up the environment, and how lasting an effect it’ll have on the wildlife; it will go on for years. We tend to think, “Well, it’s capped, everything’s good,” but for 10 to 20 years it could still be affecting the animals. Thank God for modern-day media. This thing is 6,000 feet deep, but they were able to photograph it and really put it in front of us. What a disaster, how much oil was spilled. We can’t ever allow this to happen again. CNN.com. If I’m at my desk and want to find out what’s going on with sports, mainstream media, or international, to me, CNN has the plethora of things to choose from. The way they break it down is real simple. They always list the most popular stories right now so if there’s something on people’s mind, you tend to know. I’m also a weather fanatic, so I live on Weather.com. I’m obsessed with weather, not so much what’s going on where I’m located, but what’s going on all over the world. I should have been a meteorologist, I think. Working at Runner’s World, I’m on that site a lot, but I like to go investigate what people are saying when we post things on Twitter and Facebook. I love to listen to the feedback and comments. All the stuff we post to the website—I should know all that info, but what I love about today’s instantaneous media is that you can listen to comments and opinions on anything and respond right away. You get a pulse on what people’s interest levels are. Organic Food at the Bicycle Races! Hi Bart! 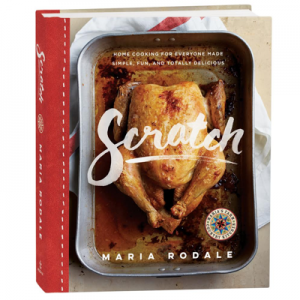 Thanks for coming to my kitchen for a chat! What I love about people I know answering these questions is that I learn so many wonderful new things about you. Thank you! Interesting read! As a weekday veg, I always get crap for going veg as well. Nice to see an athlete as healthy and successful as Bart still getting garbage for going veg but sticking to what he knows is the best for his body and the environment. It cracks me up–people think vegetarians are going to die if we don’t eat meat, and we certainly couldn’t be serious athletes. Thanks for doing some myth busting, Bart! 8)Impeller Type: While using the leaf blower, stones or sticks may get stuck to the machine. As it is, sleep is something that has eluded me through the years. more often than not start up with only 1 or 2 pulls. Thank you a further helpful site. The location altogether different might I get that sort of information designed in a very best strategy? I’ve a task that we are just now concentrating on, and I have already been at the view outside with regard to such information.